Pressing the power button of the new smartwatch three times will automatically send the user's geographical data to a pre-designated set of people through SMS. The new smartwatch comes pre-loaded with Safety Assistance applications, which is useful during emergencies. The company's third-generation Galaxy Note 3 sports a 5.7-inch Super AMOLED screen with full HD 1920x1080p display resolution and comes with Android mobile OS v4.3 Jelly Bean out-of-the-box. Samsung's new products - Galaxy Note 3 and Galaxy Gear, hit the Indian stores on Wednesday, a few weeks after it was launched in Berlin. 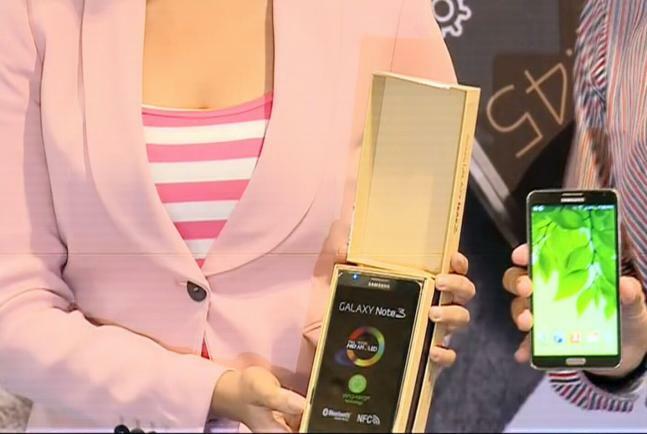 "The thing about the Galaxy Note 3 is really sleek looking, it's very sophisticated looking. It has a beautiful back. It's really like twenty computers in one if I can say that and it offers you everything you can dream off," Parineeti said. 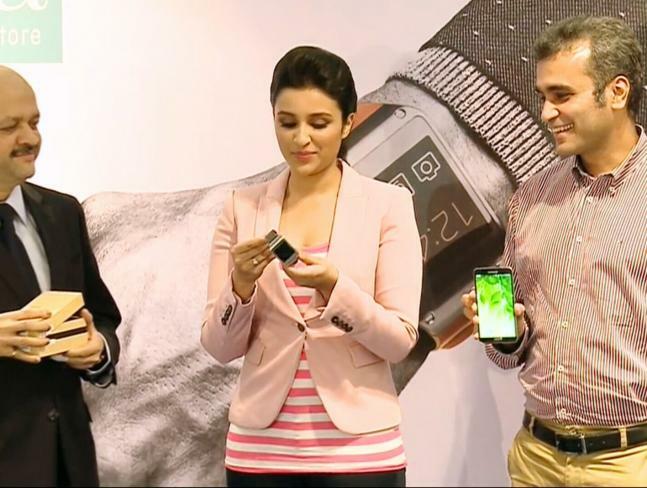 The 24-year-old, who has films like "Ladies vs Ricky Bahl" and "Shudh Desi Romance" to her credit, said at the launch event that Samsung's new phablet is like "twenty computers in one". 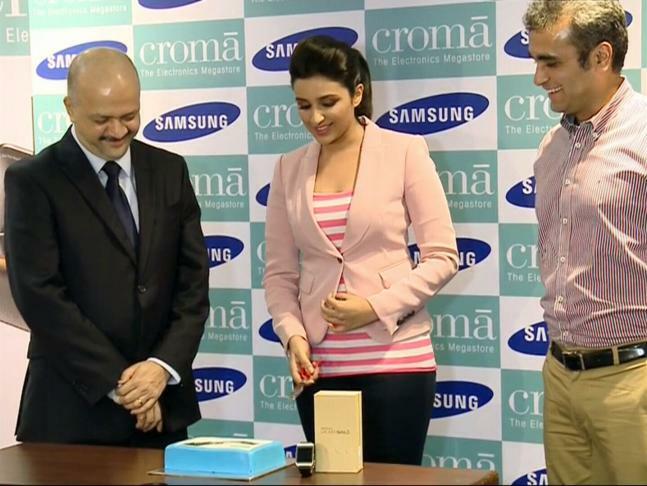 Bollywood actress Parineeti Chopra unveiled Samsung's flagship gadgets Galaxy Note 3 and Galaxy Gear smartwatch at the Croma Store in Mumbai on Wednesday.